Cave dwellers didn’t need to chase hurricanes or go bungee jumping. Their daily quest for survival – in an age where danger lurked around every rock – provided them with all the adrenaline they needed. By contrast, modern Homo sapiens – with their smartphones, desk jobs and supermarket loyalty cards – are left somewhat wanting when it comes to adrenaline. Life is much safer, yes, but it’s also decidedly duller. Nowadays, it’s not necessary to fly to space to experience weightlessness – zero gravity flights are available from locations across the USA. The experience is created during a series of quick ascents and descents, enabling passengers to feel weightless for up to 25 seconds. If you don’t like flying, forget it. 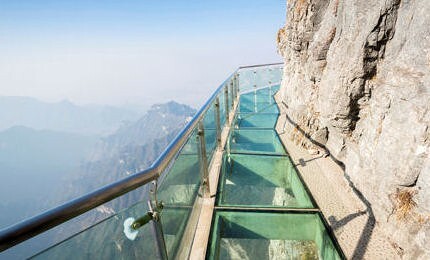 Known locally as the ‘walk of faith’, this vertigo-inducing pathway is bolted to the side of Tianmen Mountain in Hunan, China. Perched some 1,432m (4,700ft) above a rocky ravine, the path is made of glass and has fantastic views of the canyon below. 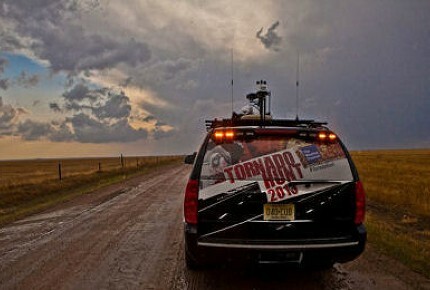 Most residents living in ‘Tornado Alley’ flee their homes at the first sign of extreme weather. While they drive to safety, adrenaline junkies move in to flirt with the dangerous power of Mother Nature. Typically, storm chasing tours last six days and follow tornadoes as they whip up chaos across Texas, Oklahoma, Kansas and Nebraska. 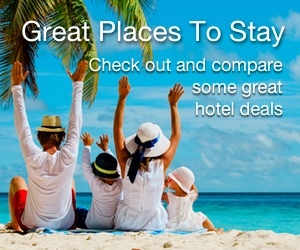 Some companies guarantee a storm or your money back. You know the saying – what happens in Vegas, stays in Vegas. But completing this 108-storey supported free fall from the world’s tallest observation tower might be a tale you want to tell when you get home. 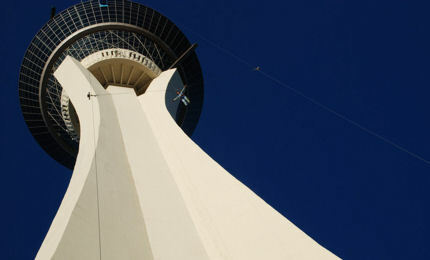 At 252m (829ft), though, the Stratosphere Skyjump is not for the fainthearted. The brainchild of an adrenaline junkie from Germany, SCAD diving is the only sport of its kind that offers an unattached free fall. Participants are hoisted up some 45m (150ft) on a crane and dropped into a safety net below. No training is necessary and there are no strings attached… literally. This epic 3,500km (2,175 miles) rally tackles some of the most extreme roads in India. But, rather than using 4x4s, participants in the Rickshaw Run cram in auto rickshaws, which have about as much power as a hairdryer. There is no set route, no support crew and no guarantee you’ll make it to the end. Still, it’s a lot of fun and all proceeds go to the Cool Earth charity, which aims to stop deforestation. Like paragliding, but with a propeller strapped to your back, paramotoring is fairly easy to learn and doesn’t require much experience. 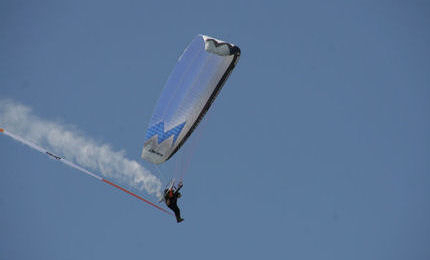 The pilot wears a backpack complete with propeller, which thrusts them into the sky. With no runway needed, participants can take off from almost any open area. 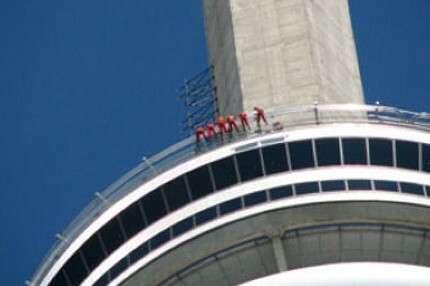 Live life on the edge at the CN Tower in Toronto, a 457m (1,500ft) communications tower that’s home to the world’s highest full-circle, hands-free observation experience. Participants are attached to a harness via an overhead rail, which stops them falling onto the street below. 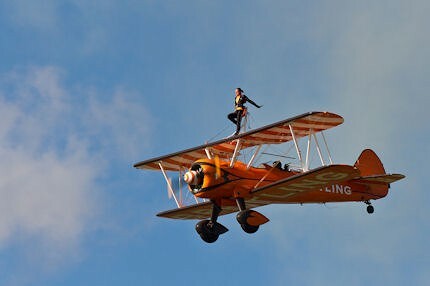 Wartime pilots came up with the idea of wing walking to satisfy their appetite for danger. 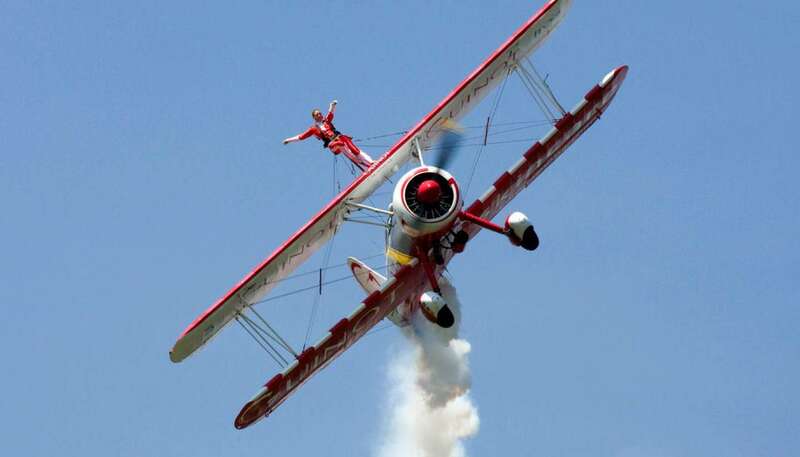 The concept took off and became popular at air shows, where pilots would try and attract the biggest audience with the riskiest stunt. Today, anyone can have a go – although it’s not for the fainthearted. 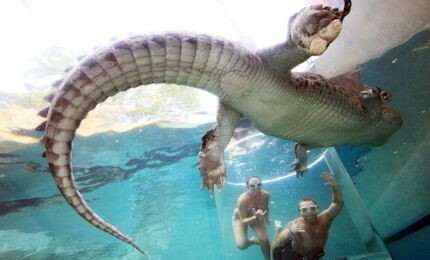 Flirt with the jaws of Australia’s most feared reptile at Crocosaurus Cove in Darwin, home to the infamous Cage of Death. There’s room for two in the glass cage, which is lowered into an aquarium containing some rather lively saltwater crocs. Careful how much wine you have at this dinner – you really don’t want to fall off your chair here. That’s because this luxury dining table is suspended 30m (100ft) above the streets, and gastronomes can enjoy a meal while watching the world go by below. 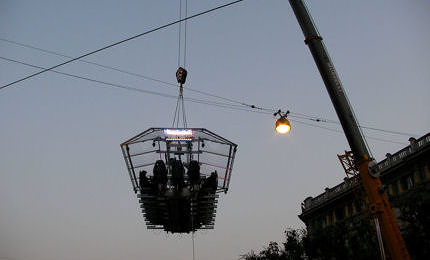 Organised by Dinner in the Sky, the dining experience is available in over 45 countries worldwide. Other themes put on by the company have included a Beach Bar in the Sky and an Opera in the Sky. Invented by a group of thrill-seeking horse trainers, the equine folly of horseboarding has developed into a bonafide sport in the UK. Participants can enter championships or have a quick go in fields across the country. Simply jump on a board, hold onto a rope and feel the speed as your steed starts galloping. 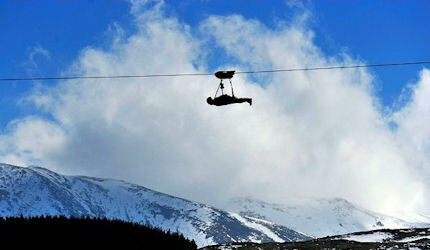 Zip World in Snowdonia is home to Europe’s longest zip line which also happens to be the world’s fastest. Suspended some 152m (498ft) above Penrhyn Quarry in Wales, an adrenaline rush is guaranteed as you reach terrifying speeds of 100mph (160km). 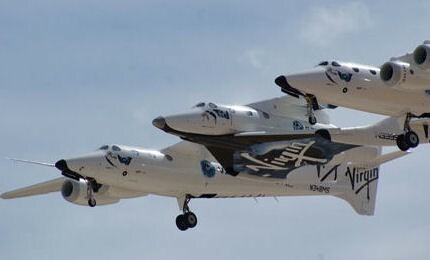 Virgin Galactic is offering the trip of a lifetime with flights to space. Its fleet of suborbital spacecraft will reach speeds of up to 2,000mph (4,200km) and altitudes of 15,200m (50,000ft). The 2.5-hour suborbital trip will take off from New Mexico and tickets start at $250,000. A quick thrill, but a thrill nonetheless, the Chatham Ski Slope near London is home to the longest Cresta Run in the UK. No snow is required to toboggan down this 700m (2,297ft) tree-lined course, which is suitable for adults and children.